There’s nothing quite like knowing that you’re helping the environment and getting where you need to go in a hurry, as facilitated by a great Mini automobile! And Car Leasing Queens is hands-down the best place for you to get that Mini auto lease that you want! 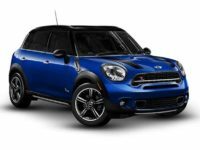 Whether your eye is on the Mini Paceman hatchback or the Mini Convertible, we’ve got every current model in stock and at prices that can’t be beaten anywhere in Queens NY or the other four boroughs! There’s nobody else in the state who can compete with our convenience, selection and prices, all made possible by our revolutionary online auto leasing system! 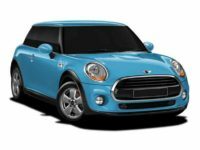 This not only saves you a lot of money on monthly rates, it also gives you a supremely excellent selection of Mini and other cars, and when it comes to convenience in auto leasing, there’s simply no other agency that can approach us. Every part of the process, from vehicle selection to application, from the fast credit check to the financing arrangements, accepting the final contract to telling us where you want your new Mini delivered (and we deliver it fast, at absolutely no additional charge), there’s never a point where you have to leave the comfort of your office or your home, up until the moment that we deliver the car and you get to drive away in your newly leased vehicle! 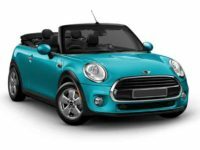 If this sounds like a great deal to you (and it should), why not give Car Leasing Queens a call right now to get a quote on the Mini that you most want! Our number is 347-732-2203, and you can either phone us directly or get started on a great auto lease today by visiting our Mini inventory page! What Makes Car Leasing Queens the Best Mini Auto Lease Agency Around? When we say that Car Leasing Queens is the single best agency in New York from whom to lease a Mini auto, this isn’t just an idle boast. If you think about it, there are three major issues when leasing an automobile: cost, selection and convenience. As far as cost is concerned, since we’ve got our entire operation online, our operating costs and overhead are so low that we can offer monthly lease rates untouchable by other agents! Our selection is nigh unlimited because, rather than having a physical leasing fleet, we leverage our connections with dealerships throughout Queens NY to offer their inventory as our own! 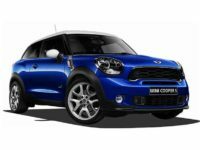 This means we have most every Mini model in stock, including the Mini Countryman, Clubman and Hardtop 2 Door! 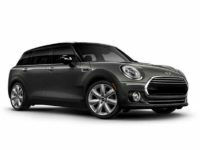 Then as far as convenience is concerned, we have it on lock, with our electronic system making it fast and easy to get the Mini auto lease you want! As mentioned before, every step of the process is completed online, and you never have to even visit a car lot or spend time in an office filling out paperwork to get the automobile you need, quickly and conveniently! So don’t delay another minute — phone us for a quote today, or start browsing Car Leasing Queens’ Mini vehicle selection page!